Box Text: Supercharge your gameplay! Battle with amiibo in Super Smash Bros. for Wii U and Nintendo 3DS! As friends or foes, amiibo join the battle! 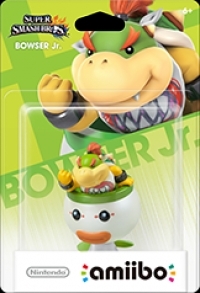 09-08-2016 ignition365 Name Amiibo: Super Smash Bros. - Bowser Jr.
06-20-2016 aliensstudios Box Text Supercharge your gameplay! Collect, Customize, and Compete! 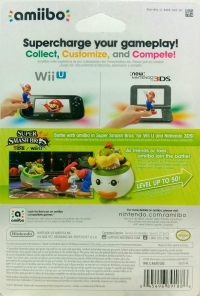 Battle with amiibo in Super Smash Bros. for Wii U and Nintendo 3DS! As friends or foes, amiibo join the battle! LEVEL UP TO 50! 03-08-2016 aliensstudios Box Text Supercharge your gameplay! Collect, Customize, and Compete! Battle with amiibo in Super Smash Bros. for Wii U! As friends or foes, amiibo join the battle! LEVEL UP TO 50! This is a list of VGCollect users who have Bowser Jr. - Super Smash Bros. [NA] in their Collection. This is a list of VGCollect users who have Bowser Jr. - Super Smash Bros. [NA] in their Sell List. 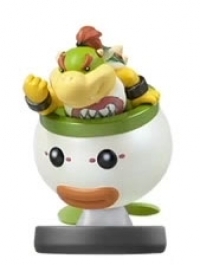 This is a list of VGCollect users who have Bowser Jr. - Super Smash Bros. [NA] in their Wish List.